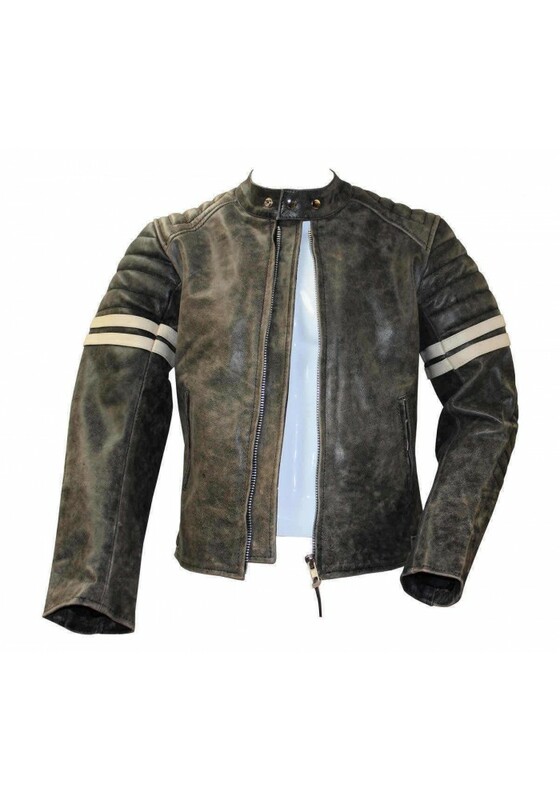 A design inspired from the jacket seen in the movie Fight Club, this vintage jacket offers a more rustic old look which is highly sought after these days. 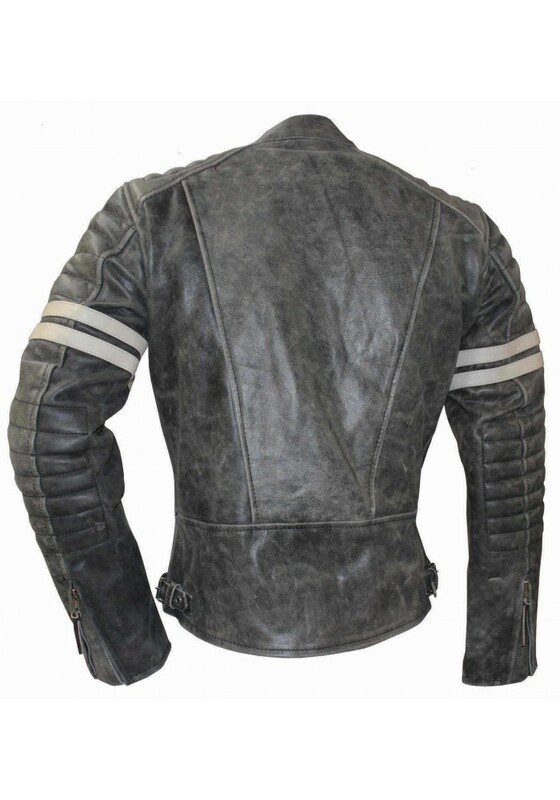 Made from real cowhide leather, the jacket offers a grey stonewash/distressed look. This vintage cowhide leather jacket has been inspired from the movie Fight Club. The rough grey stone color gives the jacket a vintage look which blends well with the off-white stripes. With rust free metal and YKK zippers, this leather jacket has been made to last. With front zip closure, snap button collar and zippered coughs; this highly fashionable jacket can also be used as a biker jacket. 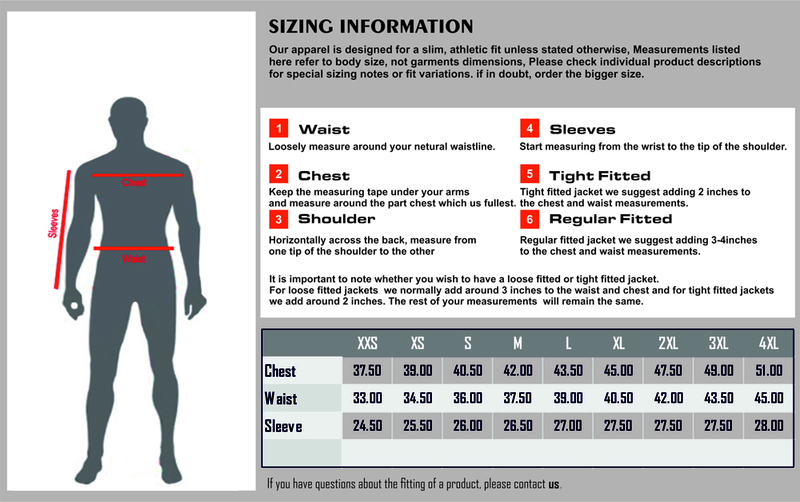 There is extra padding around the shoulders and elbows of the jacket. The double polyester lining makes this jacket suitable to wear in all weather conditions; simply remove the zip out lining when during the summer days and zip back to keep you warm during winter.